An ancient classic Sandal made in more contemporary style. 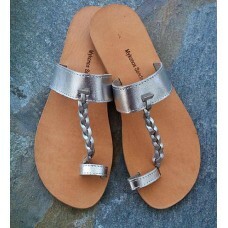 Silver Vachetta leather, with a leather sole. Perfect for day or evening wear.